Oldest Man On Earth – Did Li Ching-Yuen Live For 256 Years? 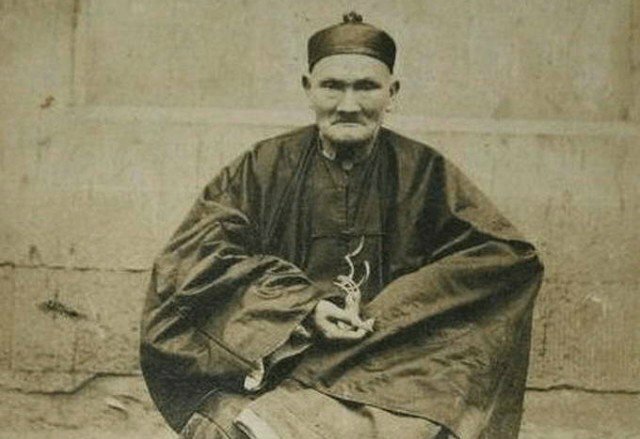 Is Li Ching-Yuen the oldest man who ever lived on planet earth? Can a human being live for 256 years? Noone knows how true the story is but it is believed that Li Ching-Yuen was born in the year 1736 or 1677 and died on 6th May 1933. Any of his birth years makes him 197 or 256 years old when he died. The longest living human being till date is the French woman Jeanne Calment and she lived for 122 years. Unlike, Li Ching-Yuen, Jeanne Calment’s age is confirmed. There are no certain proofs of Li Ching-Yuen’s age and hence a lot of gerontologists have dismissed it as a myth. Li Ching-Yuen was born either in the year 1677 or 1736 in Qijiang Xian, Sichuan, Qing Empire. He was a Qigong expert which explains his meditation & breathing skills along with knowledge of medicinal herbs. Li Ching-Yuen spent most of his life in mountains studying and selling Chinese herbs. His diet mainly comprised of these herbs along with rice wine. In 1749, Li joined the army of provincial Commander-in-Chief Yeuh Jong Chyi, as a teacher of martial arts and as a tactical advisor. The picture above was taken in 1927 when Li was invited by General Yang Sen at his residence in Wan Zian, Sichuan. Li Ching-Yuen (also pronounced as Li Ching-Yun), got popular in the 1920s when he was mentioned in a U.S. Newspaper about his birth in the 1677 or 1736. Li Ching-Yuen himself claimed that he was born in 1736. However, Wu Chung-Chieh, a professor of the Chengdu University, mentioned that Li was born in 1677. As published in the New York Times, Wu had access to Imperial Chinese Government documents from 1827 where Li was congratulated on his 150th birthday in 1827 and later on his 200th birthday in 1877. Another article from New York Times also mentions about old men from Li’s neighborhood. The article states that these old men had heard about Li from their grandfathers when they were kids and Li was a young man. Researchers are claiming this story to be false but there are many who still believe that human beings can live longer with a strict diet, meditation, and spiritual practices. Some people believe that Li Ching-Yuen was able to live for so many years because of the exercises which he did correctly, regularly and sincerity for 120 years. Another article in Evening Independent mentioned that Li had found a magical kind of herb in the Yunnan mountains which did not allow him to age.